With Christmas finally upon us, there is no escaping winter running. As the temperature drops and the nights get darker, sometimes going for a post work run is the last thing on your to do list. 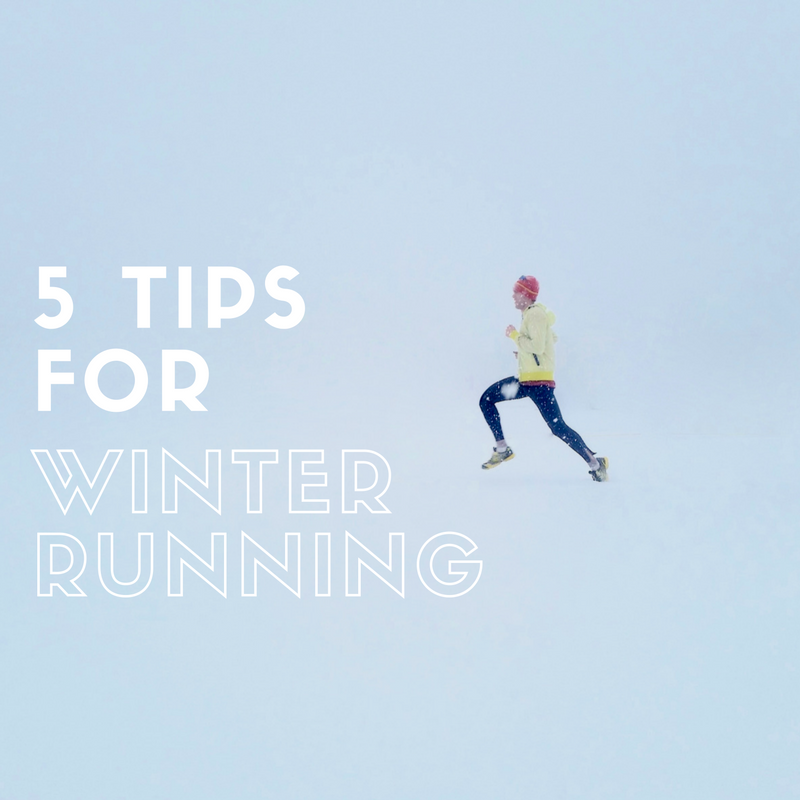 In this post, we look at 5 tips to help you stay safe when out winter running over the holiday period. Whilst this may seem painstakingly obvious, you would be surprised at the amount of runners that we see that don’t wear reflective gear. It’s winter, the mornings and night are dark, and you need to be seen when out on your winter runs. If you haven’t already, invest in some running gear with reflective strips so that you can be spotted from a distance. Or better yet, a reflective bib so that someone can spot you a mile off. If it’s really icy out too, it may be time to call off your winter run and take it inside to the treadmill. When there is ice on the roads, sometimes it doesn’t matter how visible you are. If a car skids and you’re in the its path, there is nothing you can do about it. Safety first! When you are winter running, it is vitally important that you give yourself enough time for a good warm up period. Running coach Todd Kuslikis clarifies that in the cold, tight muscles are more prone to injury. To warm up properly, use a combination of dynamic stretching and low intensity movements to get the blood flowing around your muscles. 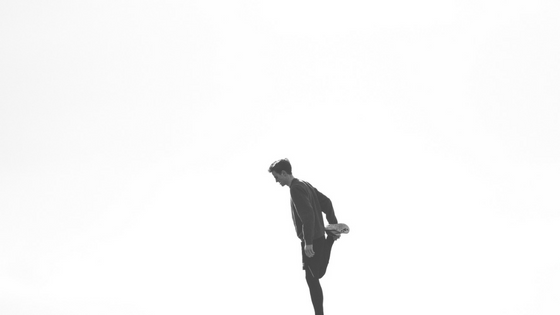 Don’t static stretch in the cold without warming up first! Trying to find your perfect winter running outfit will be a little bit of trial and error. If you’re still searching for that perfect combination, the first bit of advice is that you will want to focus on layers. The first is your base layer. Number one rule, stay away from cotton. Cotton holds water and when you start to sweat in the cold, this can become an issue. Use a sweat wicking fabric as your base layer and build on top of that. The next layer will depend on how cold it is outside. If it is really cold, you may opt for a fleece layer to wear under a jacket. If the weather is forecast as wet, make sure your jacket is waterproof. Running tights provide great insulation for your legs, as do balaclavas for keeping the wind off your neck. Invest in some winter running socks and wooly gloves and you’re ready to go! All running shoes are not made equal. Whilst most are suitable for all weather, make sure yours aren’t primarily for summer running. Look for shoes with water resistant uppers and deep treads to give you more traction on the roads. Trail-running shoes are also popular. Finally, some runners use strap-on ‘grippers’ with metal coils or spikes to increase traction in tricky conditions. Admit it, we have all been guilty of skipping a training session due to the cold once in our life. It’s just too easy to stay in the comfort of your own, warm home rather than out running in the cold. This is why it’s important that you stay motivated. Get yourself a running partner so you can hold each other accountable. It will also be much safer when running at night with another person there. Use the cold as an opportunity to try out new routes so long as they are safe. Running in the cold is hard enough, you don’t need to make it harder by running your same, boring route. Take in the scenery and appreciate the change in season. Whilst winter running may be hard to get into at the start, but once you get into the routine of it, I guarantee you will start to love it over time. Personally, I get a bigger sense of achievement knowing that I went out and ran in the freezing cold whilst everyone else is warm in his or her homes. The winter is the time where we put the work in for a great summer season.